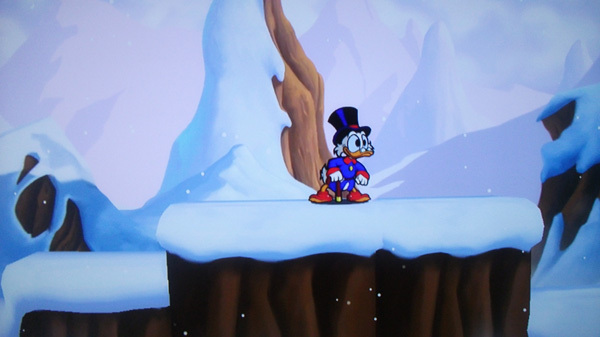 I finally got around to play DuckTales Remastered today, I have wanted to play that game for sometime. Since I am a fan of the original game for the NES. The the replacement isn’t all that great imo, but he isn’t terrible either. But he is nowhere near John Harryson’s wonderful voice, he was such a great Uncle Scrooge. The music in the game is great! Love the remixes, I’m a fan of “The Moon” song. Even if others are tired of it, I still love it. But all the other music are just as good. A great game, that I really think you should try. Now I feel like watching the old show again. Ni no Kuni, a great RPG! 2 responses on DuckTales, woohoo! Yeah, it’s great! What I was surprised about with the Transylvania remix is that they added a bit of dubstep into it. They have that classic WUBWUBWUB from dubstep and stuff, but it fits the song very well. And the parts with the guitar… Mmm! !